The One Project is preparing for an arrival in the series next year. Will it end up being more powerful as a Bugatti Chiron ? 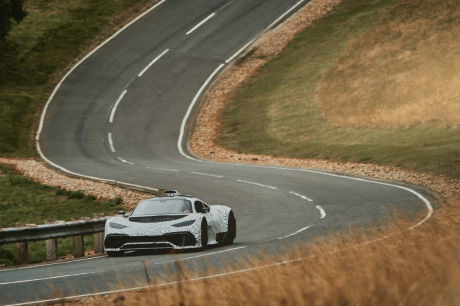 Mercedes confirms the development of his new supercar Project One is on the right track and delivers to us some images of a prototype in full testing phase. 2019 will mark a new stage in the history of supercars, with the highly anticipated duel of the Aston Martin Valkyrie and Mercedes Project One. These two cars, which will inspire each in their own way in the world of Formula 1, is preparing to set new benchmarks in terms of performance , and could both overtake the Bugatti Chiron on this plan. But, then, that Aston Martin gives us regular updates on the progress of his new baby, the firm of Stuttgart had remained very quiet since the revelation of the One Project at the Frankfurt motor show in September 2017. Mercedes breaks today that silence and we book a few pictures of a prototype in a full test session. 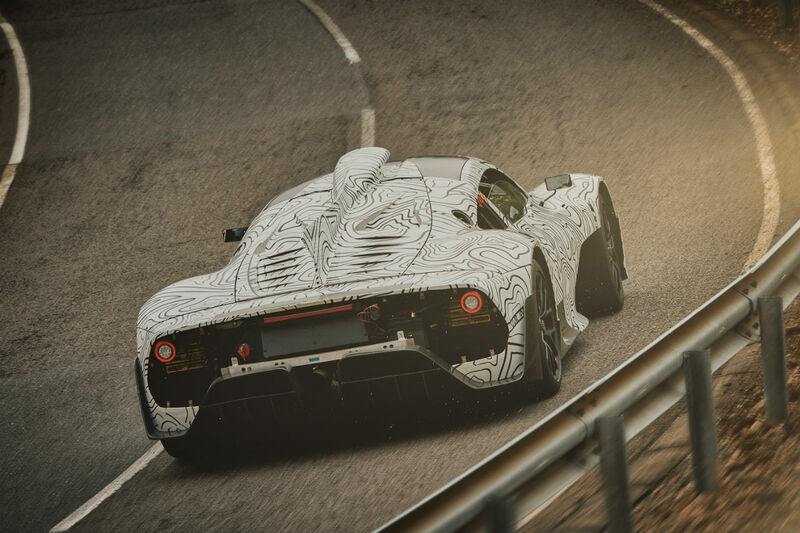 Despite the camouflage covering the body, it fully recognizes the silhouette of the car, which appears very close to that submitted last year. With these images, the German brand, leads, therefore, to the photographers, spies, explaining that it becomes difficult to keep these tests confidential, given the characteristic noise of the engine, quite similar to that of an F1 car. 100 km/h shipped in 2.5 seconds and 0 to 200 km/h claiming for less than 6 s.
The engine, close to that of a F1, has already benefited from hundreds of hours of testing. Mercedes does not give additional information on the series version of his model, and declares only that hundreds of hours have recently been spent, to prepare for the complex mechanical to series production. Last year, the German firm had announced a production limited to 275 copies and deliveries in the course of the year 2019.